We offer mobile applications development, sales, after-sales, all is handled in-house thus, everything is confidential. We use bank-level data encryption technologies to help protect our clients' information. being the only authorised phone monitoring software vendor in India, our prices are inclusive of all applicable taxes which ensures your purchase is a legit purchase. Why this Software Purchase. ??? 6. Know your wife & husband activity by this software. Note : 24 Hours Trial available here...Just call me and take the trial and after your satisfaction then you can purchase our premium package. You can installed this software in any android phone with in 2 mins but target phone should be in your hand once. What you can get after installed this software. Application will run in any android phone, iphone etc. Message, call record, location, contact, whatsup, dashbaod, Photo, Video, browser history, facebook, twitter, viber, hike, line, wechat, GPS etc and more option you can after installed this software. So Please try Once in life, if you have any doubt in near you. Please call us for Trial/DEMO and purchase this software. Features Call, whatsapp, Msg, location etc. How it Works :What is a Spy Phone Software? Ans : SPYPHONE software is a program that you install on a mobile phone which after installation secretly records events that happen on the phone and delivers this information to your mobile phone via SMS. SPYPHONE also allows you to listen to the surroundings of the target mobile, listen to a live phone conversation and lets you know the location of the device. For example :You doubt your daughter/wife/partner is in a wrong company and you want to keep a track on her activity. So what do you do? Our Spyphone has an answer to this : All you have to do is to gift her a phone loaded with our software. So now whenever your daughter picks up a phone and talks to someone, you get a message stating that she has called the mentioned number. You dial in your daughters number and you can listen to the converstaion live!. You will get a copy of all the messages that she sends or receive. You can know the location where she is moving around & listen to the surrounding when the phone is idle. Ans : Call Interception is the ability to listen in to an active phone call on a target mobile phone. When any calls to or from this numbers occur on the target phone, SpyPhone Software will send a secret SMS to your mobile. You can now call the target mobile and listen in to the live call. 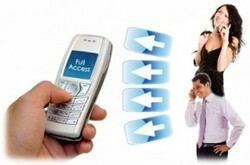 Ans : Send secret SMS to the target phone to control all functions. You don’t need to physically access the phone for any feature not related to installation. Ans : You make a spy call to the target phone and listen in to the phones surroundings. This does not allow you to listen to the phone conversation in progress. Please check Call Interception for the Call Tapping feature. The phone with SpyPhone Software on it is the target phone. The phone you make spy calls from is the monitor phone. When you call the target phone from the monitor phone, the target phone will answer the call silently, letting you listen to the phones surroundings. If the phone is busy or a key is pressed, the spy call will be disconnected, and the target will be none the wiser. Ans : Cheating is as old is human society. Cheats have existed since ancient days. Now cheating has moved into a new dimension with the latest science and technology. Statistics say that 85% and 50% of people who feel their lover is cheating - are right. If you have suspicions, warnings or signals of infidelity by your spouse or partner, consider our SPYPHONE SOFTWARE to find out for Sure. Most affairs directly involve mobile phones, and SpyPhone allows you to listen to phone calls,read SMS and turn the phone on at key times to listen to the phones surroundings like a microphone. Ans : SpyPhone Software records all SMS sent and receive on the Target Phone then sends them to your mobile phone. Ans : If someone is trying to cover their tracks by changing the SIM card in the target phone, the phone number will change and you will not know what number to call to make a spy call too. SpyPhone Software offers SIM change notification where you will receive a SMS (text message) if the SIM card changes. Now you will know the new number and can continue to make spy calls. Ans : Call Conferencing and Call Waiting’’ must be activated on the network SIM card used inside the TP. To activate Call Conferencing please call the network provider and ask them to activate this feature. Product Description :This is a revolutionary solution which helps in executing an efficient News Reporting system for any News Channel or Media Coverage. The News Channel and can also give the same application for the common public to report any such incident in quick manner automatically. This way, they can increase their coverage having different citizen journalist. This could also be associated to an automatic reward system. A Login/Password will be given to the News Channel Control Room to access the Media Reporting on the server. If the Reporter Records Video/Image through his mobile phone, It will be instantly uploaded on the server with the exact location details. The Control Room receives an instant notification on the server on a Google Map. The Control Room can view the Uploaded Vide/Images instantly. The Control Room will also get to Know following things instantly. Instant Video upload with complete location based display of a video content. The Control gets to know where exactly the person is standing while recording the video or taking photograph. High Quality Images with 5MP Camera on Mobile Phones. Complete Content Copyright Protection (The recorded video will always have the information where it has been recorded and what time on which mobile phone). So easy payment mechanism for the authentic real reporter. Very User Friendly attractive View (Control Room will be notified on a Google MAP with the location and video received from that location). All the received video /images are organized efficiently for future use. Control Room can extract the reports and views the contents in the following way. OVI VAN cannot reach timely to various remote locations. OVI VAN is a costly solution to get the instant video updates from a remote location. There is no efficient Intellectual Property Copyright Protection mechanism. The Reporters Records the Video/Images through Cameras Make a CD of the same and Email it to the control Room (News Channel). It delays the process a lot. There is no way to find a real author of the media content. Which creates legal problems in sharing the contents? Product Description :-This is the new Version and every Call record Beep free. Total Recall Call Recorder S60/Symbian Record Call being provided by us, is a call recorder mobile utility, which comes with fully compatibility with all S-60 Nokia Mobile with symbian OS. 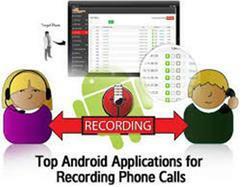 This mobile software has many advantages over earlier versions of call recorder provided by others, like, no continuous Beep sound while putting the device on recording mode, record calls in WAV or AMR format with no time limitation and many more. Use as a full featured dictaphone app when not on calls start recording using a convenient hot key password protection auto start and many more features. Intuitively named clips rename add notes and more. Auto send clips via MMS HTTP* & e-mail. Free Updates for the Life of your device. Full Dictaphone functionality - record memos lectures meetings and more. Manually or auto send clips via mms. Product Description : We are present the mobile software as the name says, is our flagship application & is the most stable and feature-rich application in industry. Balaji Technologies has a whole list of features consisting backup of all general logs such as Contacts, Phone-Calls, Messages to the most wanted features like Call Recordings,Pin-point Locations & IM Messages. All the data is stored remotely on our 3-Stage secured web-server allowing you to access the logs from anywhere at anytime. As Balaji Technologies supports the biggest count of features over the widest range of smartphones in the market, below is the categorized feature-list according to compatible OS & version. 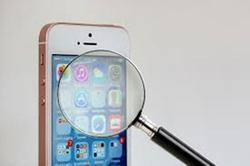 your career, you can now use your SmartPhone with our free cell phone spy software to know the truth, and the person you are targeting will not suspect a thing. Guaranteed! 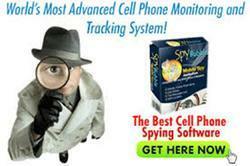 This free cell phone spy software can be set up to access anything and everything coming from the target phone. And that includes messages sent via Facebook, WhatsApp, BBM, Viber, Skype and tweets send over Twitter! Spy Software is the next generation of smartphone monitoring software. Do you worry your child or employee is abusing their SMS or Internet privileges? Notify your child or employee they will be monitored. Then install the tamper-proof app directly onto the compatible smartphone you own and wish to monitor. Our online control panel lets you access all features from any internet enabled device sitting anywhere worldwide in seconds. You can listen call recordings, monitor chat, track locations & more. We offer the most secure & feasible solution in the industry for keeping your family safe and employees productive. Secure & private data storage, 100% secret your point & Safe your Data. No icons, no notifications, No any Beep, 100% hidden! For all major operating systems, Mostly android and Apple. Note : You can now opt for our higher package, which gives you relief from this tension. The software once installed, will stay there in phone like Immortal regardless how many times the device user performs a Factory Data Reset or Reboot with the phone. Please note, you strictly need to bring or send phone to our office premises for installing higher package as it undergoes an intensively technical & proprietary installation procedure which cannot be done at your place. Get After Installed this Software in your Target Phone on your Email or Portal. Please call us for free trial Version or premium version and live free mind from your back activity or cheater. Mobile Spy is a hybrid software/service which allows you to monitor smartphone usage in real time. This unique system logs the activities of your iPhone, BlackBerry or Android OS smartphone. Notify your child or employee they will be monitored. Install a small application directly onto your device that they use. The app has an icon which further notifies them that they are being monitored. After the software is setup on the monitored phone, it will log an array of phone activities and then insert the information to your account using the Internet. When you want to view results, simply login from any web browser and enter your username and password. With the LIVE Control Panel, you can view the phone's screen and location LIVE. Are your children or employees abusing the privileges of texting and calling? Are you worried they are using the phone for disallowed or inappropriate activities? Mobile Spy helps parents and employers monitor the smartphones and tablets that they own or have proper consent to monitor. They use it to learn about their child's or employee's call information, websites visited, text message activities, photos, GPS locations and more. 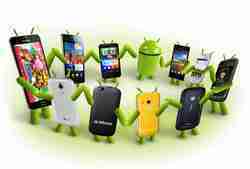 Product Description :The Spy Mobile software for android has been developed with perfection. This Android Mobile software can authorize the user to check all the details of call log, SMS, Pictures, live call recording etc. This software comes with web history details and gives exact GPS location. This software is easy to install and very user friendly. Real time information about photos and videos, etc. Product Description : Spy Software for Tracking the kids,Employee, young child, partner, and ultramind is a term which is gaining more and more news now days. Although the idea seemed quite unreal in the beginning, the technology has lent us with an application which can be easily installed in a mobile phone to monitor its movement. Not only you can use it as mobile tracking software, the application also finds its use in listening to person’s live conversations on a particular device. As we all know mobiles are very vulnerable and prone to threats from outside world in India, installing a Spy ultramind seems best way to minimize the misuse of your phones from someone else. Through this software you can easily know the location of your phone and get hold of it if misplaced or lost somewhere or stolen by someone. In a nutshell with us. you can be rest assured that your mobile phone is in safe hands. UltramindIndia can also be used by parents and organizations to keep a check on their kids and employees respectively. While parents can keep a track of people their kids are in contact with, companies can use it to track the integrity of their employees. One of the biggest advantages of Spy mobile software is that it comes in different versions. Getting hands on the latest version is advisable as it is compatible with almost all headsets. 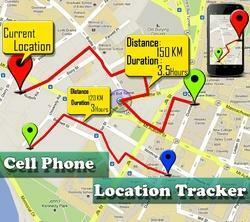 With Spy Software Delhi you can get full information of your target mobile device located anywhere in Delhi. Everything from calls and SMSs to call alerts is readily available through this Spy Software in Delhi. It won’t be wrong to say that installing this mobile tracking system is quite synonymous with surveillance system where each and every activity is recorded with every minute detail. The spy mobile software can be used across the globe but using Spy Software in Delhi will yield the best results undoubtedly. Spy mobile software is a great option for data storage and encryption too. The software is linked to Internet where in a database everything gets stored side by side without having a need to update it again and again. For instance, you have a data backup of your mobile in your mails. Hence, even if you lose your phone, you have all the data and call records with you. Besides you also have access to all the messages any where anytime. Two way Voice Beep Free recording and Dictaphone on Your mobile handset with auto transfer to web account ideal for Office,Staff/Joumalist/Housewives/lawyers/Students etc on click of a button, you will be able to record important meetings for future review. You won't need to write anything on paper again. Call logs Missed/Dialed/Received and SMS Copy GPS-Realtime information to Web Account with Geo-Fencing, Totally hidden No Trace of Information sent from Target Phone. Please call us for trial Version for 24 hours free. 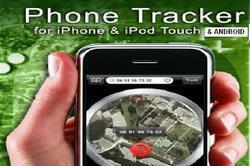 Product Description : we are provide you the solution of to trace the location of any person or vehicle. onetrace is developed by the team behind Balaji Technologies especially with women & children in mind. Main goal in developing Onetrace was to provide an easy to use monitoring service to the parents, brothers, sons, husbands or better say, everyone to take care of their loved ones & protect them from any mishappenings like such are taking place nowadays. Product Description :The iPhone software has been designed with some of the most developed features. This mobile software meets the standard of the iPhone and has the potential to track all the details like call details, SMS, photos, applications etc. This software is designed in such a way that it breaks the privacy wall of the iPhone and starts tracking the phone without the target person knowledge. Spy Mobile Phone Software in the World! With CELL TRACKER Spy Mobile Phone Software installed on YOUR Smart Phone you can now easily find out who your partner, children, business associates, and friends have been in contact with! Mobile Spy is the next generation of smartphone monitoring software. Do you worry your child or employee is abusing their SMS or Internet privileges? Notify your child or employee they will be monitored. Then install the tamper-proof app directly onto the compatible smartphone you own and wish to monitor. We offer a wide range of Spy Phone Software. One record is developed for those who just want to record their phone-calls in hidden way & keep a backup of it offline & online which they can access remotely anywhere, anytime. One record records each 'n every telephonic conversation, then sends an email including the call details & recorded audio file as attachment with the mail to a user defined Email ID. Product Description :-With the help of latest technology, we are able to offer Spy Cell Phone Interceptor software that is helps in managing calls by sending SMS on the pre-defined number to a cellular phone if a call is in progress on the target phone (incoming or outgoing). When the user calls the target phone, he will hear the conversation taking place on the target phone. To execute this application, call conferencing and call display is required. This software offered by us, transforms the mobile phone into a sophisticated surveillance device and spy phone thus, is highly demanded in the market. Cell Phone Interceptor | Interception of mobile calls- designed to listen BOTH sides of the conversation! Note:The Target mobile should be Nokia Series, Blackbeery, Apple Iphone, all Android mobile. Simply Call Target Phone To Pair The 2 Devices And Begin Tracking! Works In ALL Countries World-Wide! Works On ALL Carriers Or Networks!